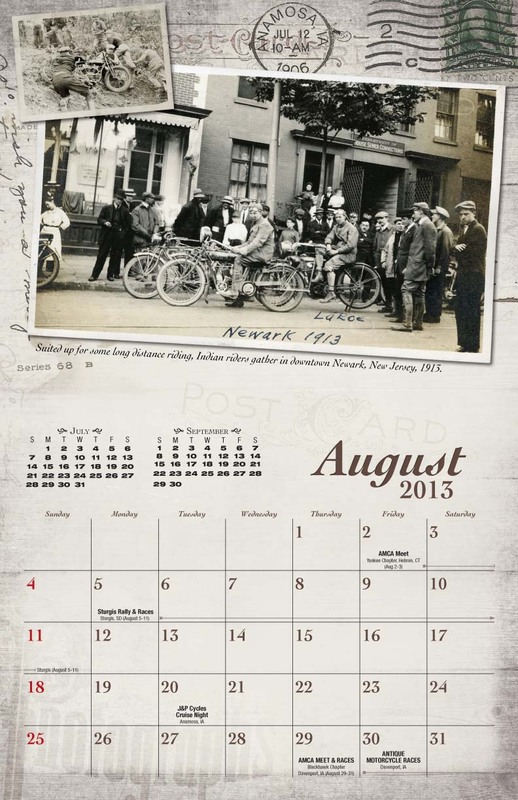 The 2013 Vintage Wind calendar has arrived! Each year the Museum staff and I dig through the archives and select a group of great old motorcycling photos to feature in our new calendar. A little research and we can write the photo captions, help you know what you are looking at. We hope you like the 2013 edition and order one for yourself, maybe as a gift for a friend. Keep in touch and thanks for your support of the National Motorcycle Museum. I hope we see you at the Museum in 2013. Swap Meets and Road Runs. J&P Cycles Open House Rally & More. 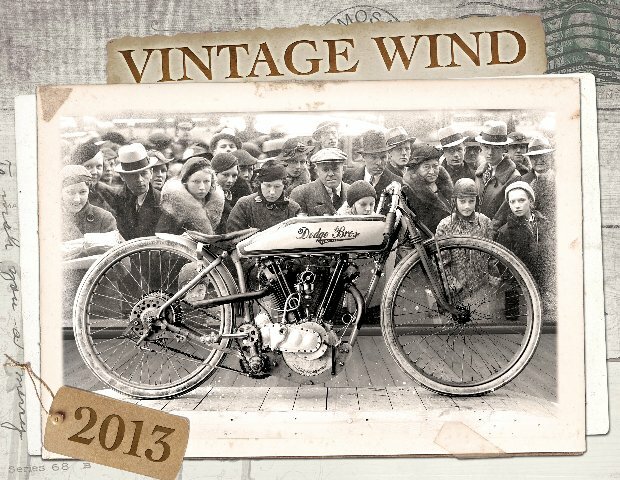 Dodge Brothers Harley-Davidson Racer on the cover of the 2013 Vintage Wind Calendar. Cover is 8.5" x 11"
Each month features a great vintage motorcycling photo as well as dates of the biggest and best motorcycling events in America. Calendar size is 11" x 17" open. Ordering your 2013 Vintage Wind calendars is easy. ON-LINE: The new Museum Store lets you order on line. PHONE: Call 319 462 3925 and we'll take your order with a credit card. 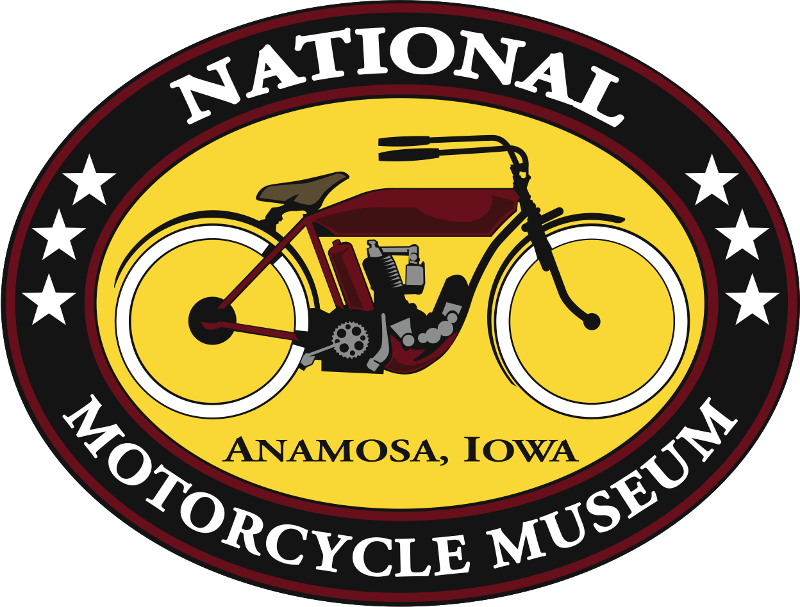 Thanks for your support of the National Motorcycle Museum!